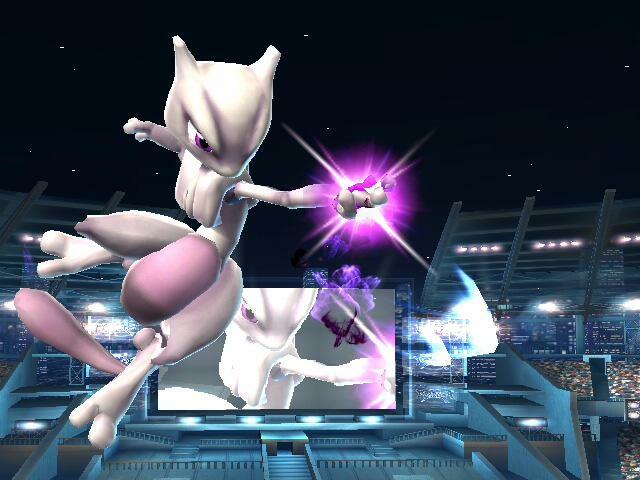 If you hadn't heard, Mewtwo is returning to Super Smash Bros. by way of special DLC that will be made available for free to those who purchase both the Nintendo 3DS and Wii U versions of the game. However, what about the gamers who are not on the market for both copies? Surely Nintendo is going to put this character up for sale because that's just the way DLC works, yeah? Well, not so fast. Nintendo has a history of not playing by these kind of rules, and it is not out of the question that Mewtwo will remain a special reward as originally intended. When contacted by Destructoid on this issue, Nintendo provided a "no comment" statement. "Sadly, Nintendo has nothing to announce at this time regarding Mewtwo. But thanks for checking!" So nothing is confirmed as of yet. It would make sense for Nintendo to just profit off the character down the road and taste the fruits of modern day DLC revenue. However, this will not happen while it has the ability for this deal to potentially sell more games. If Nintendo decides to keep this exclusive to reward certain players, then Mewtwo could very well end up being the most expensive piece of DLC you've ever purchased at $40 or $60 for the version you have no intention of playing. You also get a free game with that, so it might be worth it.